Made with potent natural enzymes which improve water clarity & protect fountains, pumps & filters from clogging by decomposing natural debris. 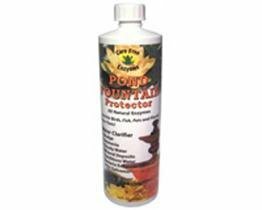 Safe to use in ponds with fish & live plants. For best results, use alongside CareFree Enzymes' live bacteria & follow directions closely. We are a proud U.S. Company who has been manufacturing high quality enzyme products since 1995 we know you will love this safe, effective & affordable pond cleaner.